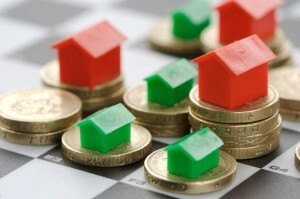 NRI Property Investment is the most discussed but least understood topic. The reason being, it is perceived to be too complex. The rules and regulations governing NRI Property Investment are different. In this post, a reference to NRI includes PIO (Person of Indian Origin) and OCI (Overseas Citizenship of India) until unless specified. Till date, i have observed two key reasons for NRI Property Investment. The primary reason is NRI’s would like to settle in India after retirement. Secondly, they still feel safe and secure to invest their hard earned money in India compared to the country of residence or Home country. The biggest deterrent for NRI property investment is TDS at the time of SALE. I would like to clarify that the processes are simplified and time to get a refund is now 2-3 months. Lastly, to save capital gain, capital gain bonds is the best option. Whenever i discuss NRI property investment with my NRI clients, the second complaint is related to the attitude of the builder and other professionals. Overcharging is very common. Therefore, i always suggest the clients to front end their relative or friend staying in India. In one of the cases, a very reputed builder organized property fair in Dubai. He sold an apartment for Rs 8000 psf. Whereas he was selling it for Rs 6500 psf to Indian clients. Even the professionals double their fees in case of NRI clients. Through these cheap tactics, we create a negative image of our country. In few cases, i observed that NRI clients dropped the idea of property purchase after they came to know about differential pricing. It is important to do a proper research before committing your hand earned money. Let’s check some of the imp guidelines for NRI Property Investment. 1. Definition of NRI/PIO/OCI: Usually, there is a confusion on the definition of NRI. On the other hand, the definition of PIO and OCI is very clear. Quite surprisingly the definition of NRI is different under Income Tax and FEMA. A person can be resident Indian for Income Tax purpose whereas he might be NRI under FEMA. In my opinion, for the sale/purchase of property, the definition of FEMA supersede the definition under Income Tax. This discussion is a topic in itself and will discuss it in one of the future posts. From NRI Property Investment purpose, the imp point is that Non-Resident Foreign Citizens of Indian Origin are treated on par with NRIs. It implies that PIO and OCI are treated at par with NRI’s. 2. Documents required: There is a confusion on what all documents required for property purchase. Let me clarify that PAN is a must for NRI Property Investment. Besides that, NRI’s require passport whereas OCI/PIO card is required in case of OCI/PIO. Other documents required are proof of address in the home country, POA (If any), Work permit etc. 3. Citizenship: The PIO of following countries are NOT ALLOWED to purchase any type of Property in India. The point to note is that even if they are PIO still not allowed based on the status of citizenship. The list of countries includes Pakistan, Bangladesh, Srilanka, Afghanistan, China, Iran, Nepal, and Bhutan. The citizens of these countries need the permission of RBI. In some countries, the local laws restrict the purchase of property outside the home country. You may need approval from local tax authorities/central bank. 4. RBI Approval: NRI/PIO/OCI cannot purchase agricultural land/plantation property/farm house in India. RBI has provided general permission that includes the purchase of residential and commercial property in India. There is confusion in the case of the farm house. Under an income tax, the residential farm house is considered as residential property. In the case of NRI property investment, it is not clear whether residential farm house will be treated as residential or not. Special Permission of RBI is required in case NRI/PIO would like to purchase agricultural land/plantation property/farm house in India. 5. Income Tax in India: The income generated from NRI property investment is treated at par with resident Indian. In short, taxation rules of income from house property and capital gain are same for resident Indian and NRI. The only difference is on TDS rate at the time of sale of the property. 6. Income Tax Return: If NRI/OCI/PIO is earning an income in India then it is mandatory to file the Income Tax Return. It also includes rental income. An Income tax return cannot be filed without PAN therefore, it is mandatory to apply for PAN. You can also apply online and trust me to get a PAN is a most simplified process. You will get it in 2-3 weeks time at your overseas address. In the case of capital gains, it is mandatory to file income tax return even if the gains are below basic exemption limit of 2.5L during FY. If the TDS is deducted on capital gains and you are not claiming any refunds/set off against capital loss then you need not file income tax return. Not many NRI’s are aware that you can file income tax return in India by giving Power of Attorney to Resident Indian (Indian Citizen). 7. DTAA: DTAA is Double Taxation Avoidance Agreement. India has signed this treaty with many countries like USA, UK, Canada, UAE etc. In layman terms, what it means is that you will not be taxed twice on the same income. Income from India is also treated as an Income in your Home Country. Assuming, you sold a property in India. It will be taxed in India and also in your home country. DTAA allow capital gains to be taxed in India against the sale of property in India. NRI/PIO/OCI can avail tax credit in their home country against taxes paid in India. In simple language, if the long term capital gain tax in India is 20% and in your home country it is 25%. You will pay 20% tax in India and balance 5% in your Home country. In case, long term capital gain tax in your home country is 15% then you need not pay any tax in the home country. These are general guidelines, rules may vary. Under some DTAA treaty, 100% tax credit is not allowed. Therefore, kindly check DTAA between India and your home country for exact rules and regulations. It also depends on the respective tax laws of the home country like FATCA in the USA. For rented properties, income is taxed only in India. Rental income is repatriable subject to certain conditions. 8. Repatriation of Funds: It is again a bit complex subject. It depends on the source of funds for the acquisition of the property. If the property is acquired from income outside India and remitted to India i.e. foreign exchange sources. In this case, amount to be repatriated should not exceed the amount paid for the property. The channel of repatriation should be same i.e. NRE/FCNR(B). I will discuss it in detail in future posts. For capital gain, there are separate rules. 9. No of Properties: There is a misconception on the ownership of no of properties in case of NRI property investment. Let me clarify that you can buy any no of residential and commercial properties in India. 10. Lease Properties: If an NRI/OCI/PIO is acquiring a property through a lease for a period not exceeding 5 years. In this case, none of the restrictions will apply. I came across cases wherein NRI would like to start a business in India and prefer to lease the property. You can lease the commercial property for 5 years. Even in the case of residential property, lease of 5 years is exempted from the restrictions. 11. Change in Status after the acquisition of the property: Another concern of NRI’s is related to property acquired when they were resident Indian. The IT professionals have apprehensions if their status change in future to NRI from resident Indian then what will happen. You need not worry in such cases. RBI permission is not required and there will not be any retrospective change. As a thumb rule, the rules and regulations depend on the residency status at the time of sale and purchase. If you purchased property being a resident Indian then rules applicable to resident Indian will apply. But if you sell the same property being an NRI. In this case, the rules applicable to NRI’s for the sale of property in India will be applicable. The converse of this is also true. The topic of NRI property investment is vast. I will keep covering important aspects in my future posts.